There is little on the market low-calorie high-protein bars for so elaborate taste! You do not have to worry about that eaten baton przekreśli sense of your diet! Healthy alternative balanced meal. FA So good! Protein Bar is apparently a baton the protein - it is true, but you will not find such a delicious and valuable product on the market! With the highest quality ingredients, you get a universal product - healthy meal replacement or just a delicious snack. FA So good! 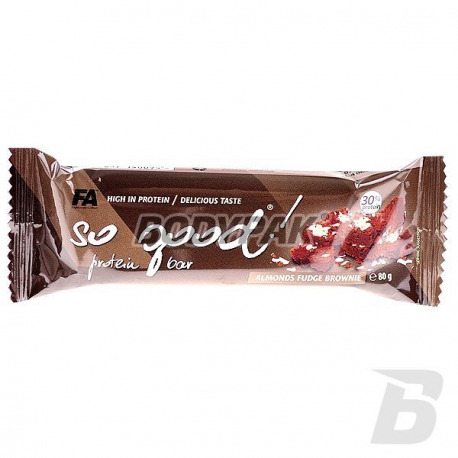 Protein Bar is a high-protein bar with delicious taste, which you have always with you! At work, school, travel or training. It provides continuous and uninterrupted supply of high-quality protein and taste great. Specially developed formula that delivers 30% of the protein in each 80 gram Batoni. 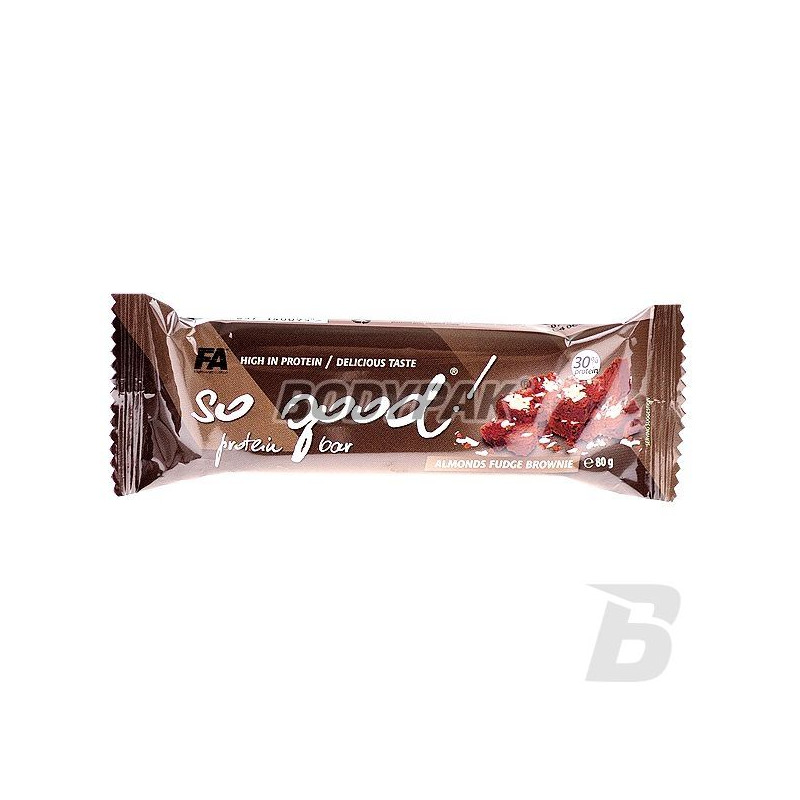 Delicious bar, which contains everything your body needs to maintain health, sports form and maintain a slim figure and gives your palate extraordinary taste sensations. FA So good! Protein Bar - delicious! Very tasty and nutritious snack of increased protein content! Composition contains about 20g of protein and carbohydrate blend constituting an excellent source of energy both in prolonged training and during the day. Highest quality!